Tsukasa is a Wavemaster and the main character. 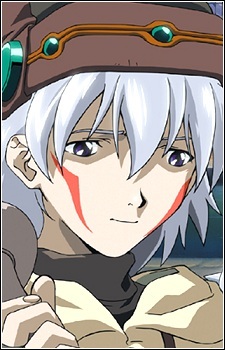 He is a young silver-haired boy clad in grey robes, At the start of the series, he is seen waking up to find himself in a dungeon in The World, but he has no idea why he is there or who he is. Not much time passes until Tsukasa discovers he is trapped in the game, unable to log out, while his real body is in a coma. He is initially depicted as a cynical loner who tends to avoid others as much as possible, but at the story progresses he begins to warm up to Mimiru, Bear, Subaru, and others.